Bonicos & Wang, PC is located at 7 Banta Place in Hackensack, NJ. 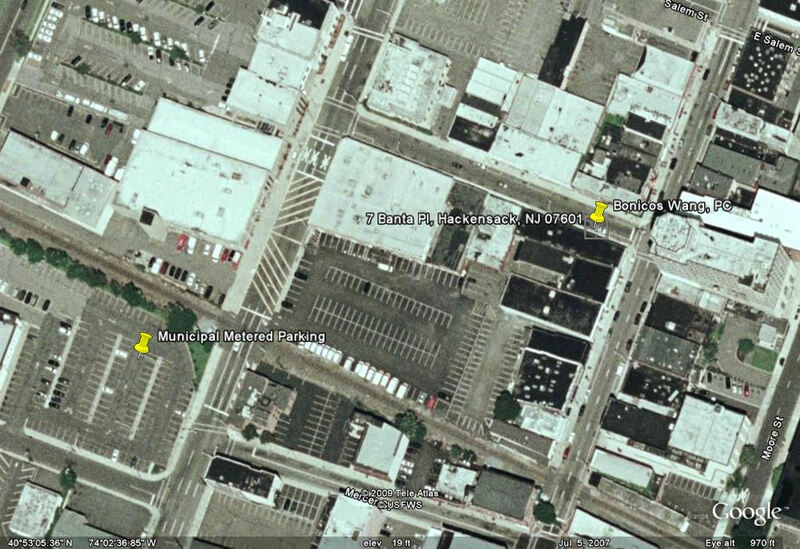 Metered parking is available on Banta Place and throughout downtown Hackensack. A municipal parking lot (metered) is conveniently located on the corner of State Street and Trinity Place, one block west. Click map below to expand. Click here for other municipal lots.